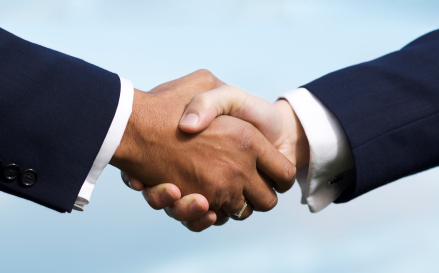 TinScape’s clients trust the many years we’ve been in business. We are committed to reduce your work load and giving you peace of mind. 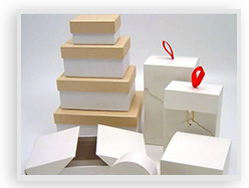 TinScape will deliver your custom decorative paper boxes, custom tins, and decorative tin containers on time, with unsurpassed quality and within budget – that’s our pledge. You can count on TinScape and we’ll always have your back. Aggressive pricing, unsurpassed quality and quick turnarounds. TinScape works directly with you from package inception through shipment. In-house tool making, prototyping, color separations, films, & print plates allow you complete control of your package. 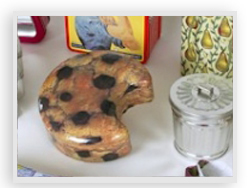 Develop a new shape or size for your decorative tin containers, custom tins, and decorative custom paper boxes. Print exceptional quality graphics directly on the metal using food-safe inks, lacquers, and varnishes. Emboss or deboss your company logo of other designs in single-level, multi-level, and sculpted embossing. Specialty varnishes to further enhance the beauty of your graphics - gloss, matte, satin, textured, and combinations thereof. We can also produce additional components such as thermal-formed trays, closures, and cardboard dividers…whatever you need to complete your custom tins. Take a look at our decorative tin containers, custom tins, and decorative custom paper boxes and see how TinScape can revolutionize your products! 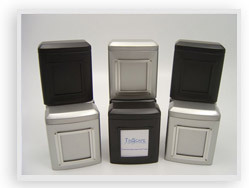 TinScape is the lead manufacturer of decorative tins and decorative tin containers. 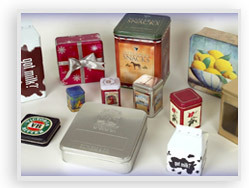 We specialize in Christmas tins, seasonal tins, and custom tins for paper boxes. 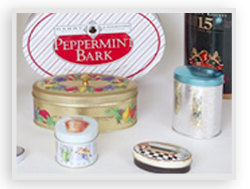 We will work with you to make the right custom decorative tins and custom metal packaging for your business. TinScape ships all over the US but caters especially to markets in the West Coast such as California, Nevada, Oregon and Washington, as well as states such as Illinois, Kentucky, New York, and Texas. We are wholesale suppliers of Christmas tins, CA custom tins, CA decorative custom paper boxes, Arkansas CA decorative tin containers, IL custom tins, IL decorative custom paper boxes, IL decorative tin containers, Medical Marijuana tin pocket boxes, NY custom tins, NY decorative custom paper boxes, NY decorative tin containers, NC custom tins, NC decorative custom paper boxes, NC decorative tin containers, OH custom tins, OH decorative custom paper boxes, OH decorative tin containers, PA custom tins, PA decorative custom paper boxes, PA decorative tin containers, TX custom tins, TX decorative custom paper boxes, TX decorative tin containers, sustainable tin packaging, FL custom tins, SC custom tins, NJ custom tins, NJ decorative tin containers, NJ decorative paper boxes, NM custom tins, NM decorative tin containers, NM decorative custom paper boxes, NH custom tins, NH decorative custom paper boxes, NH decorative tin containers, WY custom tins, WY decorative custom paper boxes, WY decorative tin containers, Tennessee-Decorative-Tin-Containers, WI custom tins, WI decorative custom paper boxes, WI decorative tin containers, WA custom tins, Indiana Decorative Tin Containers, WA decorative custom paper boxes, WA decorative tin containers.